As a church we believe strongly in the power of prayer. Our community has multiple experiences of our weekly prayers of Intercession being answered. As one, we pray for our loved ones, our Church, and for each other. Intercessions are a very important part of our Sunday Service when, gathered together, we ask God to help, heal, comfort and guide those who we know who are in need. When you visit us, you’ll see a clipboard passed around to which you can add the name and needs of someone you know who will benefit from our united prayers. Just add a name if you prefer, because God knows their needs. 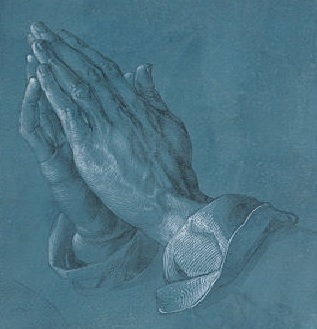 If you’re unable to join us on a Sunday, please do email William Mayhew, who will add your request to our weekly list of intercession prayers: …. ”…This was a request which the first disciples put to Jesus. He responded by teaching them a special prayer, which we now call the Lord’s Prayer. It can be seen both as a form of prayer which we can learn and repeat daily, and as a general structure for all our prayer – incorporating praise and adoration of God, confession of our sins, thanksgiving for all God is and does, and intercession for the needs of others and ourselves. and deliver us from evil. For yours are the kingdom, the power and the glory. Now and for evermore.